Melbourne is renowned as a foodie destination with many top gourmet, artisan, specialty and international food and drink events. The gastronomic journey doesn't start or end here. A short drive from Melbourne is an annual calendar of family-friendly Victorian food festivals featuring some of the oldest wine varieties in Australia, craft brewers, premium fresh produce, gourmet foods, award-winning restaurants, celebrity chefs and charming towns. These events provide the best reasons to escape the city on a foodie day trip or weekend in the country. To help you on your culinary adventure outside Melbourne, here are the top free and ticketed food and drink festivals around Victoria that your palate won't want to miss. Start the year with a family trip to the picturesque village of Portarlington on the Bellarine Peninsula. 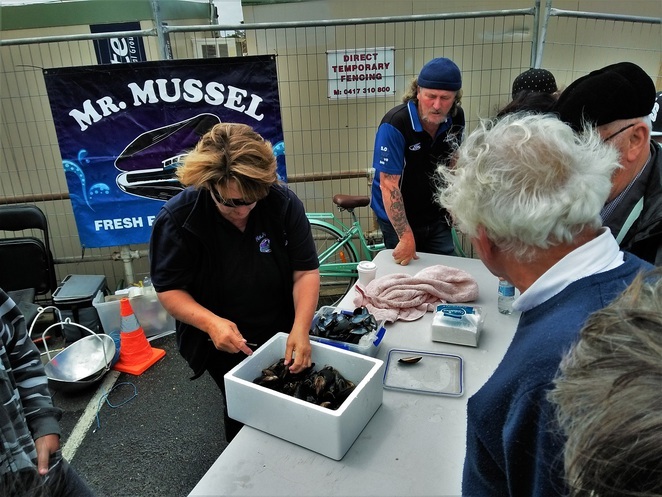 Held annually on the second Saturday in January, the Portarlington Mussel Festival was established to promote the Portarlington Mussel Industry back in 2007. Today, this community festival run solely by volunteers also benefits the community. It attracts some 30,000 visitors every year to the Portarlington foreshore, eager for a taste of fresh mussels off the boats, cooked in various tasty ways on the spot and to take home. In addition to the 10 tons of mussels being sold and consumed, you and your family can enjoy many carnival-like activities including art and photo exhibitions, classic car displays, wine and beer tastings, craft stalls, artisan produce, cooking demonstrations, children rides and live music entertainment. Entry is just $2 per person. Visit the website for more information. Enjoy summer surrounded by plenty of craft beers and good food in Ballarat. 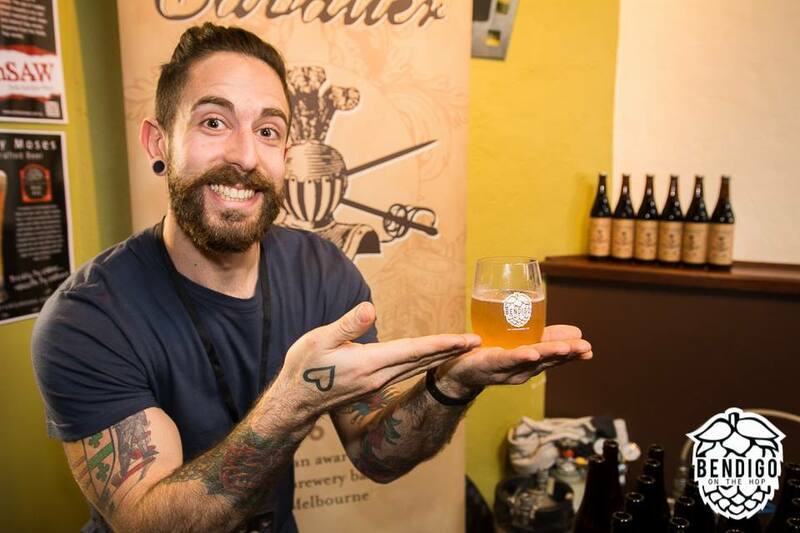 Held in January, the Ballarat Beer Festival is a celebration of beer and cider with more than 40 craft brewers around Australia. You can look forward to sampling over 150 different styles of beers and ciders from names like Two Birds Brewing, Bridge Road Brewers, Flying Brick Cider, Quiet Deeds and Cockies Beer. There are also new release beers to savour. You can also enjoy live entertainment, family-friendly games, wide range of feed from food trucks and beer education classes with blind tastings, brewing process explained and pairing of beer and cheese. Visit the website for more information and tickets. Just a short drive from Melbourne is an area blessed with ideal conditions for pinots in Victoria. So much so that it has become the site of a popular annual wine event since 2002 that showcases outstanding flavours, balanced natural acidity and fine tannins. Mornington Peninsula producers gather each year on the Sunday of the Victorian Labour Day long weekend in March at Flinders Foreshore for the Peninsula Piers and Pinots. This ticketed event offers the public an opportunity to sample a range of Pinots from over 20 wineries alongside live entertainment and food from local cafes and restaurants. Some of the region's producers include Montalto, Red Hill Estate, Dexter Wines, Baillieu Vineyard, Dromana Estate, Paringa Estate, Elgee Park Wines, Willow Creek and many more. The Flinders Yacht Club also hosts the annual Piers & Pinots Yacht Race on the same day. Visit the website for more information. 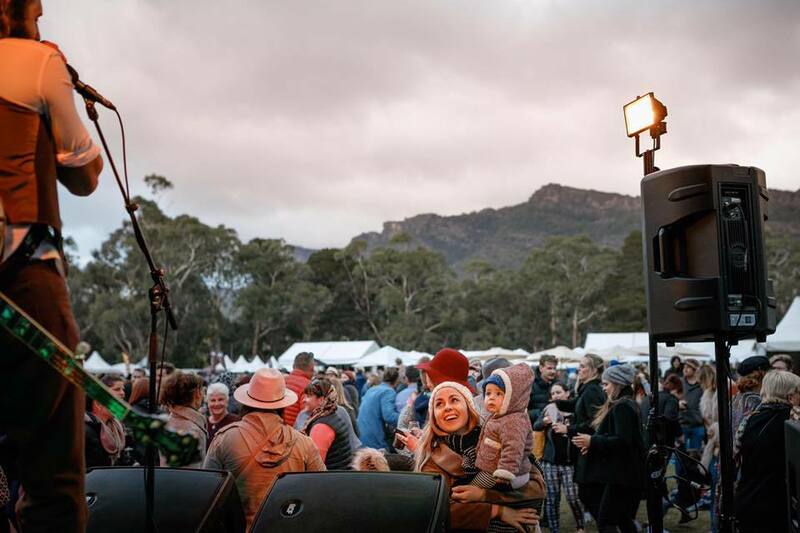 Every May, the Halls Gap Recreation Reserve in the Grampians National Park is transformed into a massive drinking and grazing festival that draws some 10,000 visitors. 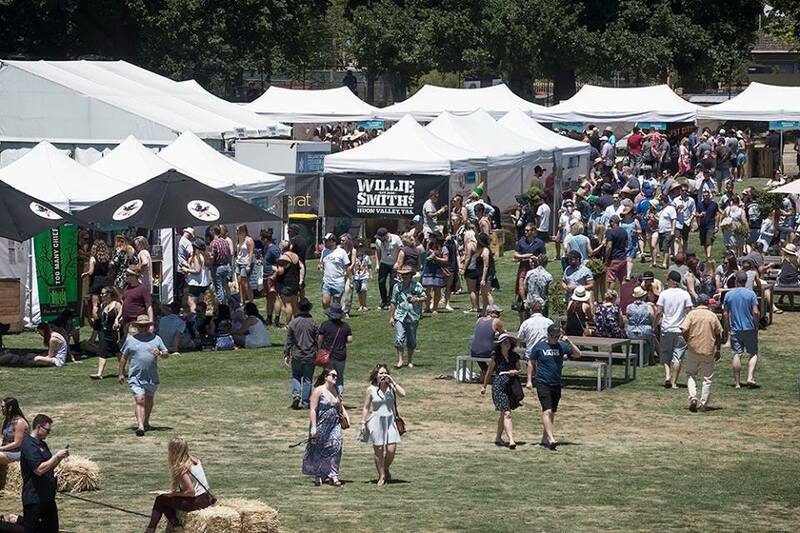 It is one of the longest running food and wine festivals in Australia held since 1991. It starts in April as a month-long celebration of the region's top artisans of food and wine culminating in the festival weekend at Halls Gap. 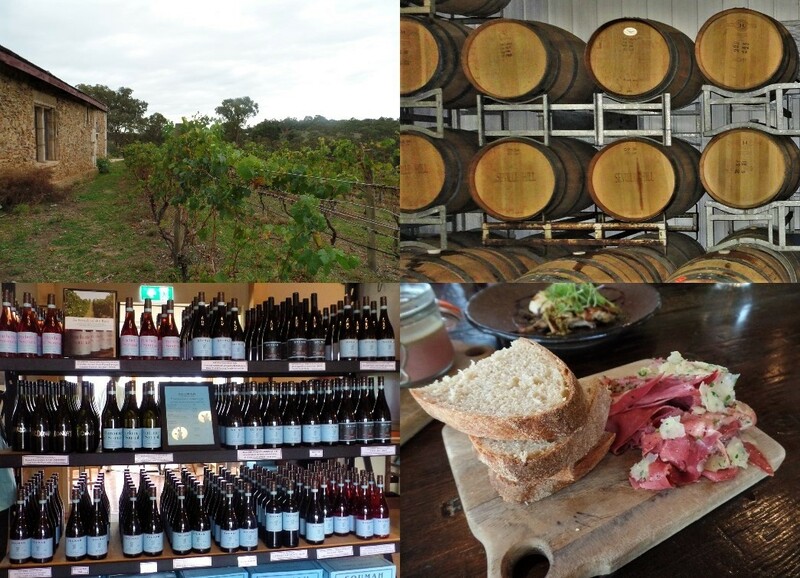 This is an opportunity to sample wine, fine food and produce from more than 100 of Western Victoria's top artisans. You can set your feet to some grape stomping and join in the bid for a chance to take home the Grampians Winemakers Reserve Shiraz at the annual Barrique Auction. There are also wine appreciation panels, master classes and cooking demonstrations by local chefs and live music. Your weekend would not be complete without taking in the scenery of farmlands, rolling hills, mountain ranges and the charm of small vineyards. Visit the website for more information and tickets. Rutherglen is home to the oldest wine festival in Victoria. Held since 1974, this popular event attracts more than 15,000 visitors on the June long weekend to this historic wine region. The Winery Walkabout is an opportunity to sample a wide variety of wines. Signatures from the area including Shiraz, Durif, Cabernet, Muscat and Tokay. Lesser known varieties include Marsanne, Roussanne, Viognier, Tempranillo, Sangiovese and Zinfandel. 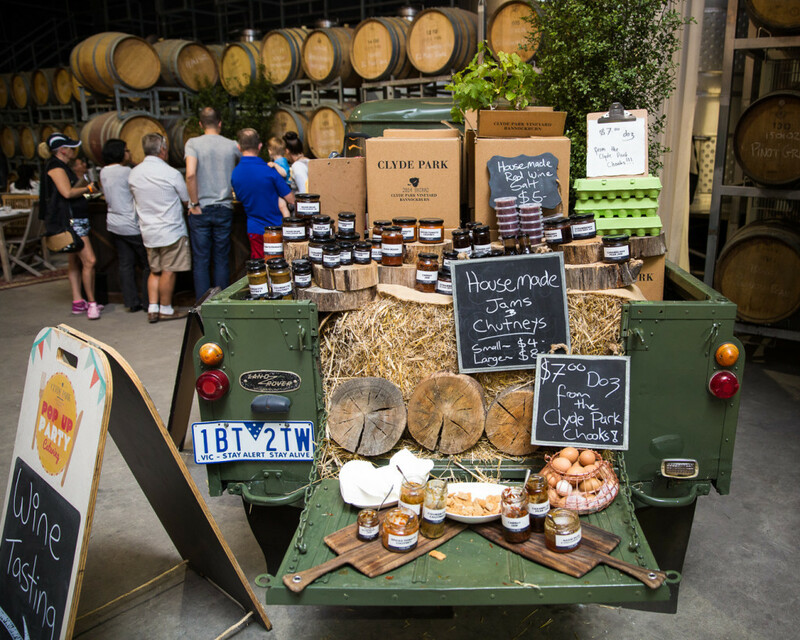 Your ticket provides access to a long weekend of wine tastings, markets, food trucks, dining events, masterclasses, live entertainment and visits to over 17 wineries. You can meet the fourth and fifth generation winemakers who combine modern techniques and family traditions that put Rutherglen's wines on the Victoria map. A Winery Walkabout Shuttle Bus is also providing a hop on and hop off service to the vineyards with pick up from regional areas like Wangaratta, Chiltern, Beechworth and many more. Visit the website for more information and tickets. Central Geelong is transformed into a gastronomic destination every July when Taste of Central Geelong comes to town. You can look forward to over 20 days of foodie activities supported by local restaurants, cafes, chefs and food producers. There are over 180 free and ticketed events to choose from including themed restaurant dinners, street eats with food trucks, guided food tours, cooking classes, baking competitions and many more. This family-friendly festival has dedicated culinary and food-related activities for children and even kid friendly eateries that accommodate prams and strollers. Central Geelong never tasted so good. Visit the website for the detailed program and tickets. Darker Days is not a Victorian version of Dark Mofo in Hobart. This mid-winter dark beer event provides a gastronomic reason to visit Bright, a northeastern Victorian town popular for its autumn foliage, snowfields, national parks, produce and festivals such as the Bright Spring Festival, Bright Autumn Festival and La Fiera Italian Festival. Hosted by Bright Brewery, Darker Days gathers visitors and brewers from the High Country Brewery Trail around a large wooden hash structure, to toast the season and welcome the return of lighter days following the Winter Solstice. You can look forward to dark and winters beers from Black Dog Brewery, Blizzard Brewing, Bridge Road Brewers, Sweetwater Brewing Co and Thirsty Crow. Bright Brewery will showcase it's Stubborn Russian Imperial Stout, an annual winter brew made with Bright Chocolate. Joining them will be other artisans and producers including Nightingale Alpine Cider, Feathertop Wines, Remedy Gin, Alpine Airstream Coffee and many more. There will also be campfire tales, roasted chestnuts and marshmallows, hot food, live music and winter activities with a spectacular ceremonial burning of a giant wooden structure in the shape of the brewery's logo. Entry is FREE. Visit the website for more information. Mitchelton Chocolate Festival is hosted by Mitchelton Wines and The Ministry of Chocolate. 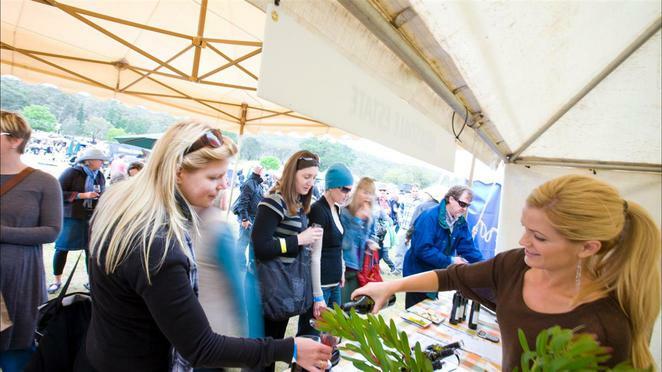 More than 6,500 wine and chocolate lovers gathered for this first of its kind event in the Strathbogie Shire in 2016. Held on the site of the winery in Nagambie in the heart of the Goulburn Valley, this festival celebratea all things chocolate alongside some of the best local wines and produce. You and your family can look forward to a weekend of chocolate indulgence in August. There are chocolate making tours, cooking demonstrations, chocolate and wine pairing classes, a dinner event and the Cacao Barry and Callebaut 'Best Chocolate Entremet' competition. 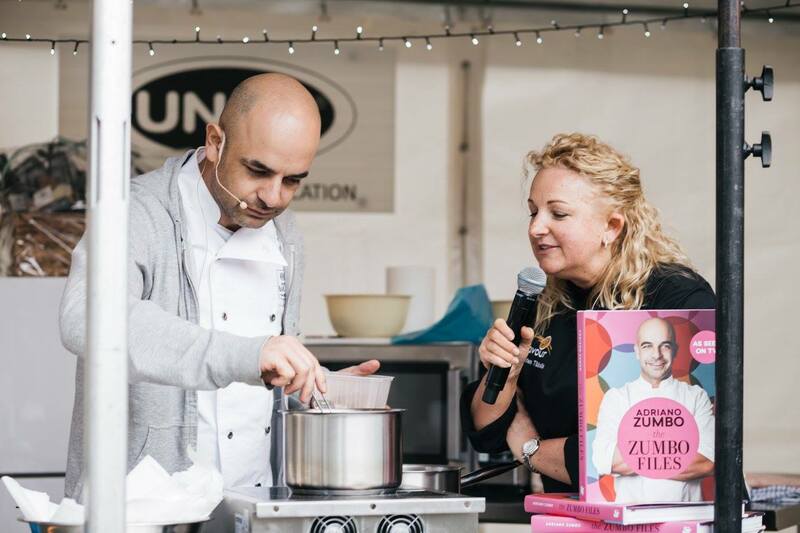 You can meet Adriano Zumbo and Kirsten Tibballs, two celebrated and internationally respected pastry chefs in Australia.There's also a children's zone complete with jumping castle and petting zoo. Entry to this family-friendly event is FREE. Visit the website for more information. Fans of GABS in Melbourne will not want to miss this unique festival in October. It is hosted by Bendigo Beer, a not-for-profit that promotes locally made and preservative free craft beer. Instead of gathering brewers under one roof, Bendigo On The Hop takes you on a walk of the city, where you can meet over 20 brewers showcasing more than 40 beers at 10 venues. There are tastings, food and live music. The event also aims to put Central Victoria on the map as the country's premier regional craft beer region. All the craft and small-scale breweries are from Australia and funds raised from this event goes back into the promotion of the craft beer industry. Your ticket will include a souvenir glass for tastings, an event booklet and one free sample from every participating brewery. Visit the website for more information and tickets. 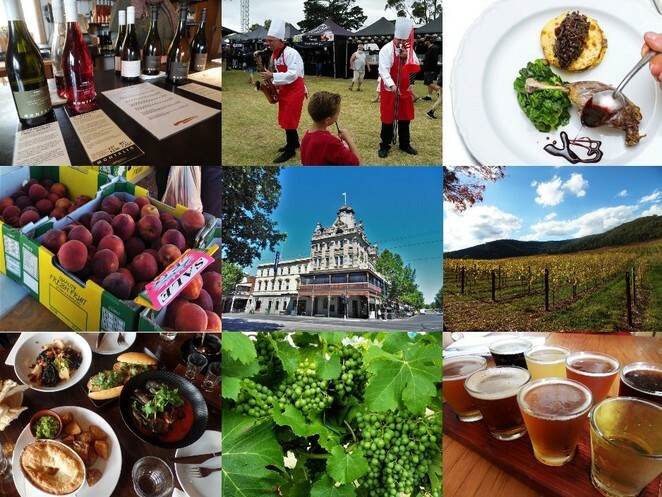 Tastes of the Goulburn gathers the regional winemakers, restaurateurs and producers in October every year. It combines the best of the region's produce with historic train rides in and to Seymour. The Goulburn Valley is home to the oldest and largest plantings of Marsanne grape variety in Australia and globally. The region also showcases wine varieties like Chardonnay, Cabernet Sauvignon, Riesling and Shiraz. You and your family can enjoy a day tasting regional wines, gourmet foods and local produce accompanied by live entertainment, exhibitions and children activities. 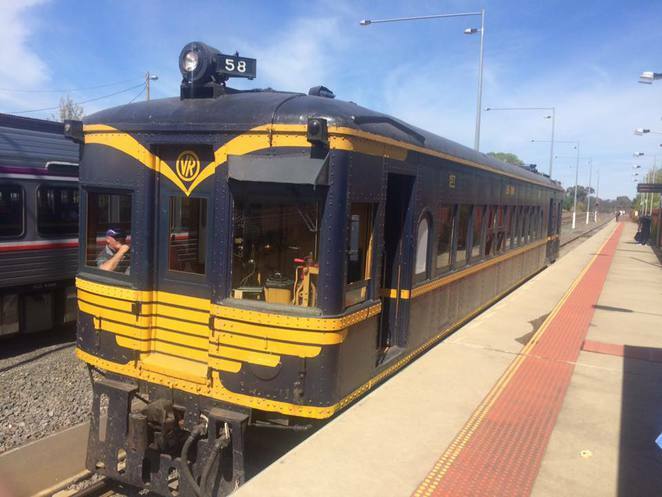 Other highlights include public tastings from the Victorian Wine Show and steam train rides from the Historic Seymour Railway Station past Mangalore and back, and scheduled trips to Southern Cross, Wallan, Kilmore East and Broadford. Entry tickets are the door. Visit the website for more information. The Heathcote Wine and Food Festival showcases some of the most distinctive and iconic wines in Australia by artisan winemakers of Heathcote every year. This wine region is internationally renowned for its Shiraz.It is also home to varieties such as Cabernet Sauvignon, Grenache, Viognier, Marsanne, Sangiovese and Tempranillo. You and your family can enjoy a weekend in October surrounded by over 150 wines from more than 40 producers. There are also wine tasting seminars, regional foods, live music and children activities. If you prefer not to drive, scheduled buses run from Southern Cross Station in Melbourne and Bendigo Railway Station directly to the festival venue in Heathcote. Visit the website for more information and tickets. Bendigo Heritage Uncorked invites you to take a walk around Bendigo. Its CBD and historic buildings form the backdrop for this moveable feast that combines wine, food and architecture. Its akin to a gastronomic version of Openhouse Melbourne with venues like the Bendigo Town Hall, Hotel Shamrock and the Classical Chinese Gardens. 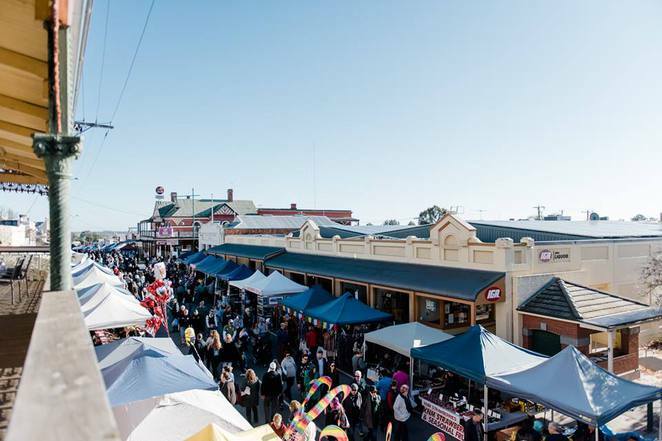 This popular event has been held annually on the second weekend of October since 1995 by the winemakers of Bendigo. 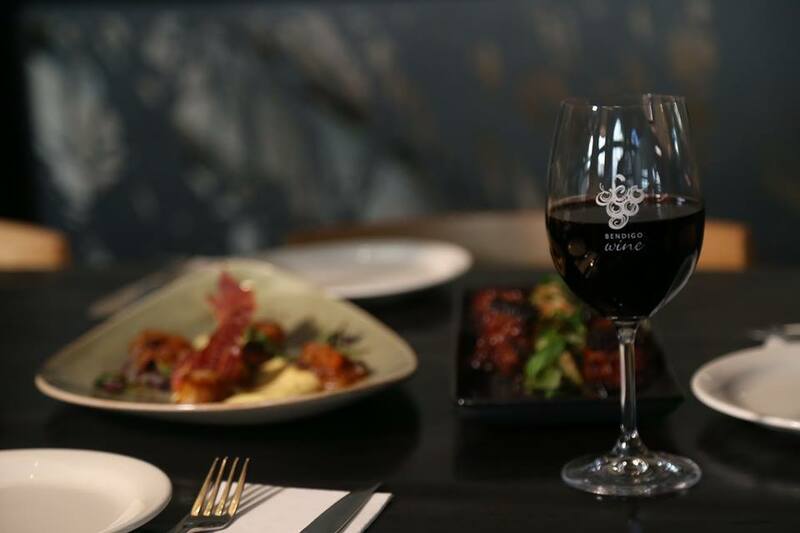 Your ticket provides access to entrée sized dishes prepared by local chefs and matched with Bendigo wines at 6 heritage venues in Central Bendigo. You will also receive a souvenir tasting glass, carry bag and guide book with walking map and information for all venues. Wines can be purchased from the makers along the way. Visit the Bendigo Tourism website for more information and tickets. Fans of the Melbourne Barbecue Festival and Meatstock Festival will not want to miss the Creekside BBQ Battle in the Wimmera in Western Victoria. Hosted by the Creekside Hotel at Warracknabeal, this family-friendly event brings experts, enthusiasts and the public together for an October weekend of American-style Low & Slow BBQ, tastings and live music. 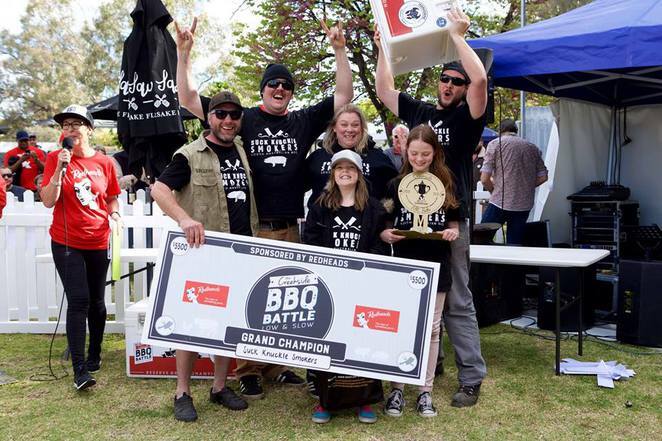 36 teams from across Australia will gather on the banks of Yarriambiack Creek to compete for title of Grand Champion in a Steak Cook-Off and the main BBQ Battle. You can also join a steak masterclass by a US steak expert, BBQ judging course on steak, burgers and wings, and a low and slow BBQ judging course hosted by the Australasian BBQ Alliance. There are also beer tastings and a whole hog being cooked. Visit the website for more information. Located a short drive from Melbourne is the rolling hills of the Yarra Valley and home to many boutique vineyards known for their handcrafted Chardonnay, Pinot Noir, Cabernet, Shiraz, Sparkling, Rose and Fortified wines. These different styles of wines are showcased annually at the Shedfest Wine Festival in October. Organised by the Yarra Valley Smaller Wineries Association, this popular on-premises event has been gathering the smaller wineries in the region together since 2001. Their sheds are transformed into festival venues with fine wine. gourmet food, live music and entertainment. You and your family can relax among the scenic charm of small vineyards, savour specific vintages, chat with the owners and winemakers, partake in games and entertainment, and even enjoy a weekend out in Yarra Valley. All you have to do is to arm yourself with a map of the participating wineries and purchase a festival souvenir wine glass to enjoy access to all venues and tastings. Visit the website for more details. Held over two days of the Melbourne Cup weekend in November, this annual food, wine and music festival brings together wineries across Bellarine, Surf Coast, Moorabool Valley. The Geelong Wine Region is best known for wines with strength and depth of colour, bouquet and flavour according to James Halliday in his Wine Atlas of Australia and New Zealand." 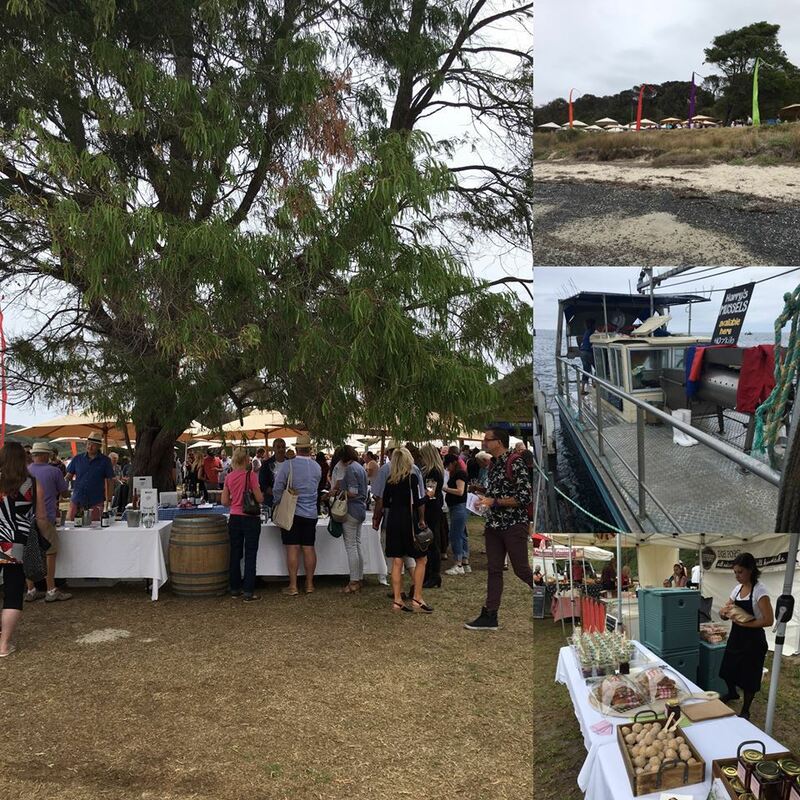 Organised by the Geelong Winegrowers Association, 'Toast to the Coast' has been running for over 15 years and attracts more than 4,000 visitors annually to the Geelong Wine Region. It offers a weekend pass to free wine tastings at all participating vineyards and a commemorative take-home Geelong Wine glass. This is an opportunity to sample award-winning and premium handcrafted cool climate wines in the cellar doors of over 25 boutique, family owned wineries, and meet their vintners. You can relax in the surrounds of the vineyards, explore the touring routes and scenery, enjoy lunch and live entertainment from local musicians at various restaurants over 2 days or even stay the weekend in the region. To help everyone enjoy the festival and tastings, shuttle bus services offer hop on and hop off at the vineyards. You can also leave all the tasting and transport arrangements to a private tour operator, For the Love of Grape Specialty Wine Tours. Visit the website for more information and tickets.